THE ULTIMATE THRILL SEEKERS SLIDE! 6'6" Makes it Our Fastest Residential Slide. 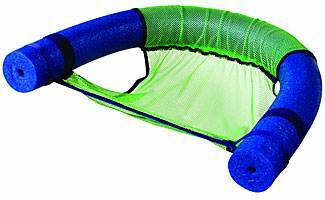 This rugged slide will give you years of wild poolside fun. The Wild Ride measures a full 6'6" and is equipped with the "Zoom Flume" patented water supply system. 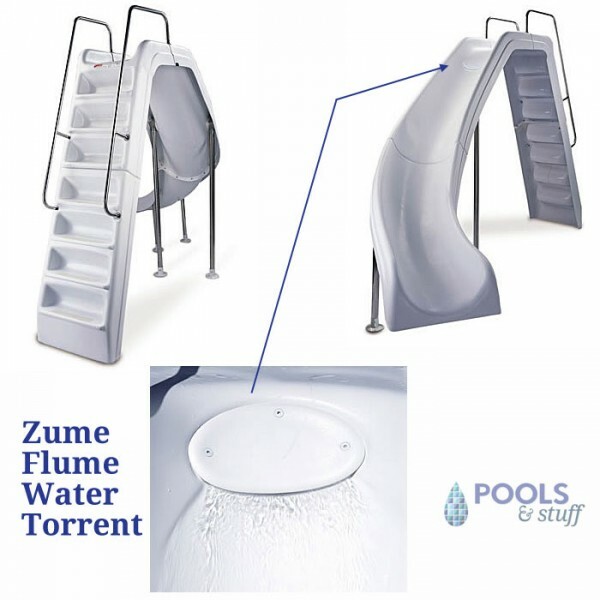 The "Zoom Flume" delivers gushing water to the slide ensuring a slippery sliding surface for wild excitement and faster action. The fully enclosed non-skid steps ensure safety for all ages. Rugged stainless steel rails, legs and hardware provide strength and long-lasting beauty in all weather conditions. Our slide is manufactured with ACTRA™ acrylic that provides superior flexibility and fade-resistance. The Wild Ride slide will retain its good looks for many seasons. 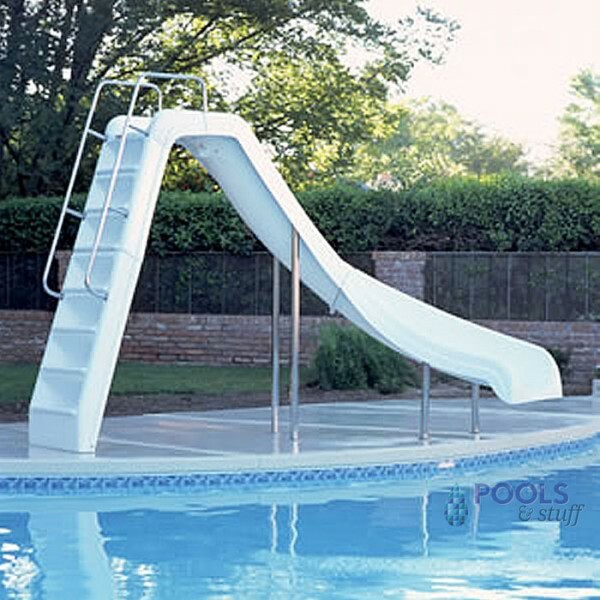 The slide comes complete with stainless steel deck anchors, plumbing kit & hardware package. Specify Left Curve or Right Curve. NOTE: Homeowner is responsible to ensure they follow any local codes for installing a slide.